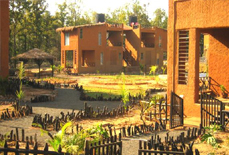 Armed with unmatched accommodation facilities, and a caring and dedicated staff, Celebration Van Vilas is a wildlife resort located near the Khatia gate of Kanha National Park. 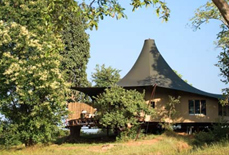 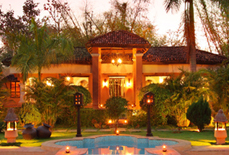 Bordered by the Banjaar River on one side, this deluxe resort defines hospitality in the true sense. 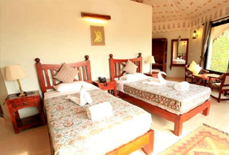 The resort also offers various recreational activities such as Air hockey, Open Air Yoga, and sports like Billiards, Table Tennis that make your dream holiday come true. 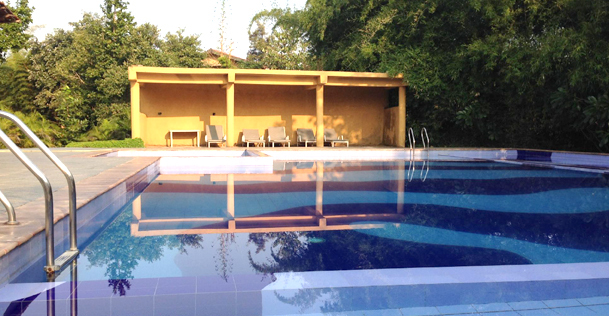 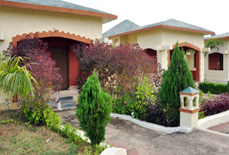 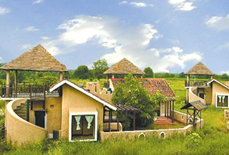 This deluxe resort covers an area of 5 acres, and is one of the most preferred destinations among travellers. 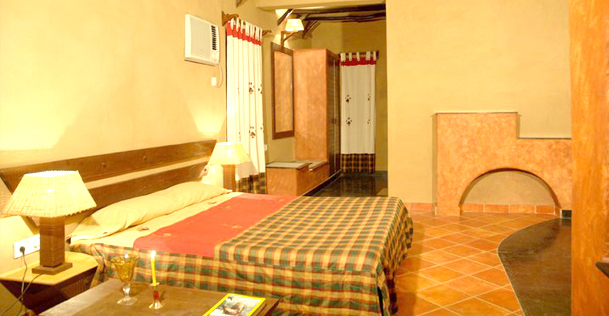 The resort offers you the best of comfort, service and luxury. 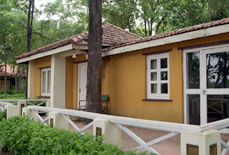 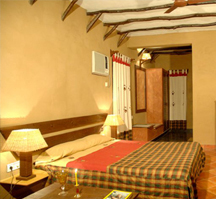 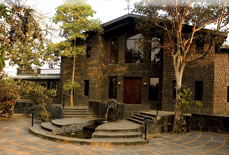 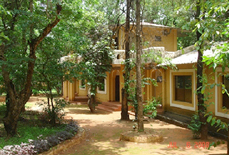 Spacious and fully air-conditioned rooms in this resort make your jungle retreat comfortable. 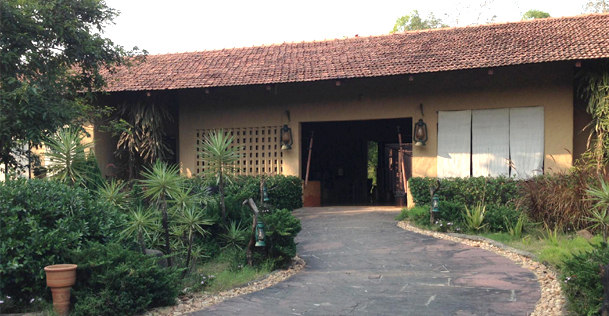 A luxurious stay is guaranteed at this resort with all world class amenities. 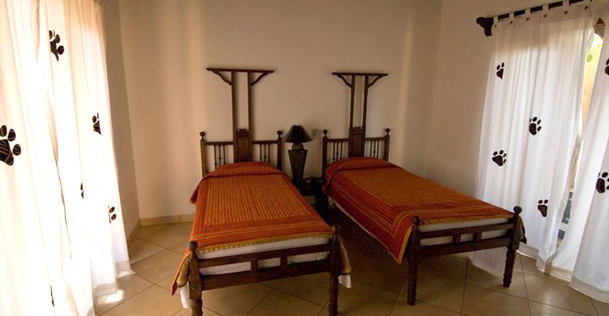 Accommodations: This deluxe resort houses 31 A/C cottages and 3 spacious A/C suites. 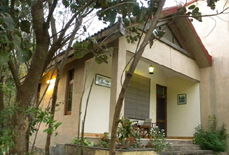 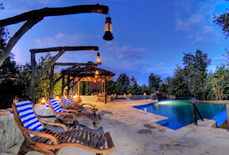 Depending on the requirement and budget, one can select from the two types, cottage and suites. 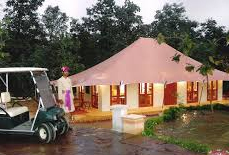 This resort is easily accessible by road, rail and air. 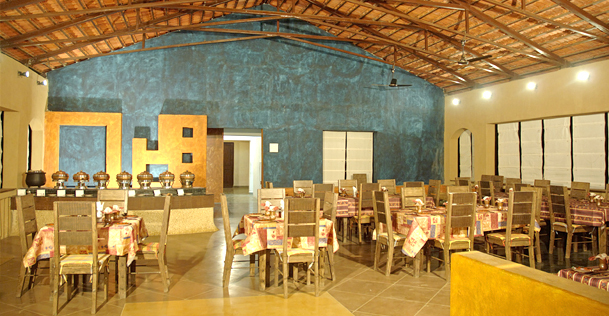 Jabalpur airport (160 kmsappprox. 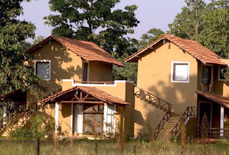 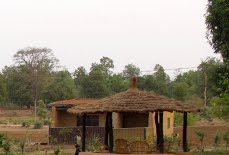 and railway station (160 kms approximately) are the closest destinations to Kanha National Park. 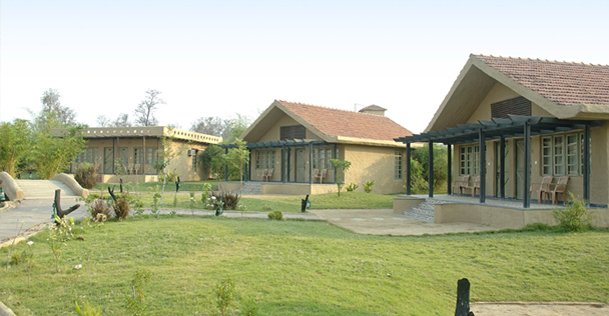 Nagpur airport is 250 kms from Kanha National Park.